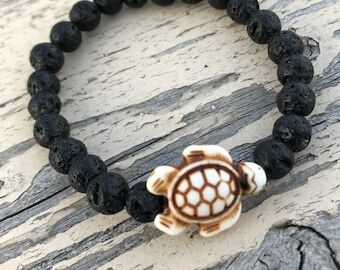 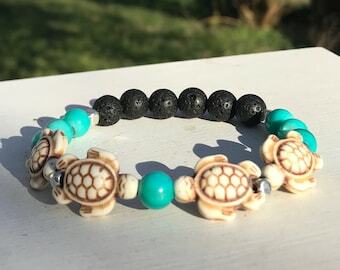 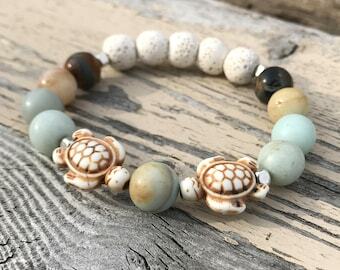 Adorable sea turtle beads carved from howlite with zebra stone beads on strong crystal thread. 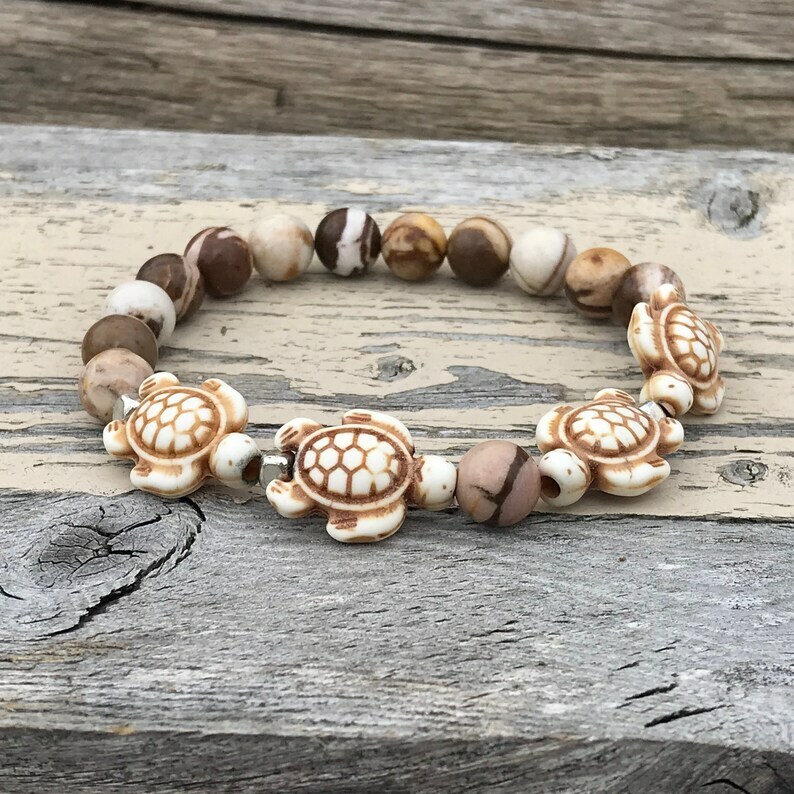 Zebra stone, also called Zebra Jasper, Zebra Marble, Zebra Agate, and Zebra Rock, was first discovered in Western Australia. 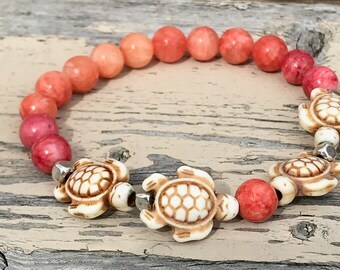 It was formed hundreds of millions of years ago when clay deposits compacted into layers creating the unique banding of reds, yellow, beiges and browns. 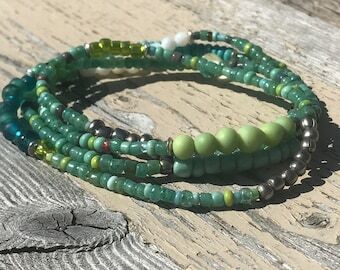 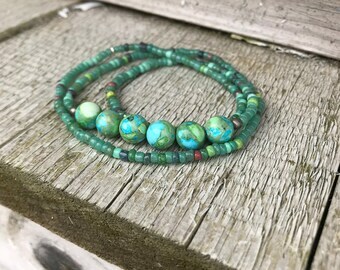 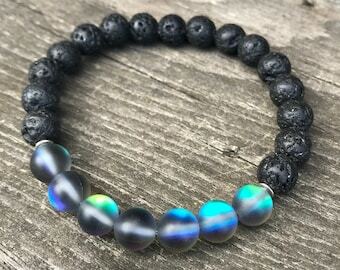 Each stone bead is unique. 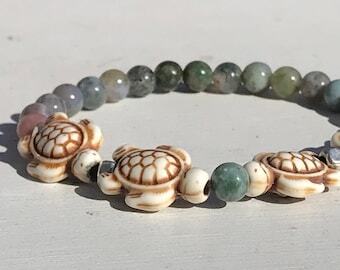 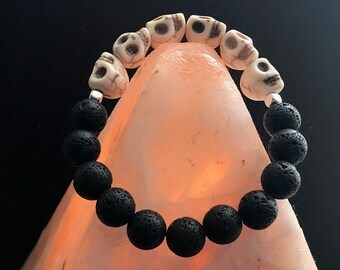 Zebra stone is believed to increase physical endurance and boost energy, as well as keeping the wearer centered and grounded. 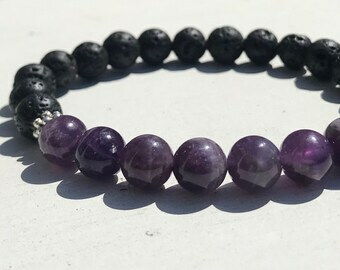 Many people say it can give you a strong sense of security and stability, make you feel safe, and it will ward off negative energies. 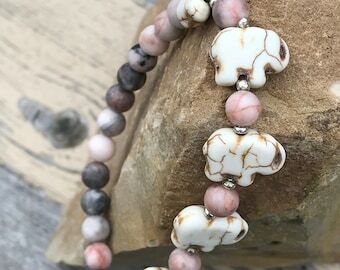 Silver glass spacer beads accent the Zebra stone and Howlite beads perfectly.